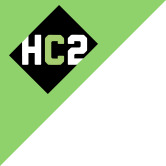 Event Details | Investor Relations | HC2 Holdings Inc. Date Wednesday, March 16, 2016 at 8:30 a.m. EDT. A live webcast of the conference call can be accessed at the time of the call.